Local building firm Mossop Construction + Interiors will partner with the South Australian State Government to investigate innovative ways to lower apartment construction costs. 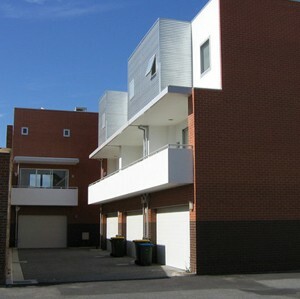 The Apartment Construction Cost Demonstration project, managed by Renewal SA, aims to explore alternative construction techniques and designs to reduce costs and increase affordability of homes for South Australians. Renewal SA has said it will fund construction of a four or five storey apartment building at The Square at Woodville West if the right design and the right price are achieved. Woodville West is an urban renewal project also managed by Renewal SA and is anticipated to consist of 15 to 20 apartments that would be priced between the high $200,000s to low $300,000s. Renewal SA Chief Executive John Hanlon said the success of the demonstration project depends on a spirit of innovation and strong collaboration between Mossop, the still-to-be-chosen design team, Renewal SA and industry. Mr Hanlon said the first stage of the process was to select a builder partner via an Expression of Interest that closed on 13 June. Mossop was named today as the preferred proponent from a strong field of applications from South Australian building firms. “As part of its EOI response, Mossop demonstrated impressive credentials and expertise in its approach to innovation in construction techniques. The company also has direct experience in the design and construction of four and five-storey apartment buildings,” Mr Hanlon said. Mossop Managing Director, Neil Mossop, said he is excited to work closely with the design team on the project and hopes to produce a high-quality and affordable product. “We are excited by the challenge of the Apartment Construction Cost Demonstration project as it will require us to work closely with a design team to explore a range of elements including building and site layout, construction methodology and choice of materials – all with the ultimate objective of producing a high quality apartment building at the lowest possible cost,” he said. It’s a fantastic initiative to improve home affordability in South Australia and we are definitely up to the task,” said Mr Mossop. Mr Hanlon said a critical aspect of the demonstration project is to share the learnings with the building and development sector so that the greatest number of people can benefit from the State Government’s push to deliver more affordable housing. The project will also receive advice from representatives of major industry bodies through an Industry Reference Group.